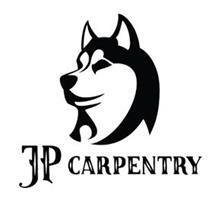 JP Carpentry - Carpenter, Kitchens based in Nursling, Hampshire. James Powell Carpentry - for a professional, reliable and friendly service. I have lived and worked in Southampton for over 20 years as a Sole Trader and cover Winchester, Romsey and the New Forest. I learnt my trade as an Apprentice and enjoy working on bespoke projects as well as general carpentry and building works for domestic to commercial. All aspects of carpentry undertaken including: Summer Houses, Garden structures, Fitted Kitchens, Gates, Stairs, and flooring. Please check my website to view my work. Free quotations and happy to help to design projects.